I want to share my graphics for game. 1. For own purposes - without any restrictions. 2. I allow to use my graphics in "public" graphic pack in "missionchief.com" on condition that my authorship will be marked. 3. I do not allow to modify my graphics or publish them outside of "missionchief.com". 4. In all matters unresolved here, please contact me first. The post was edited 18 times, last by Krys ( Apr 10th 2018, 2:31pm ). The post was edited 10 times, last by Krys ( Aug 26th 2016, 3:36pm ). The post was edited 1 time, last by Krys ( Jul 16th 2015, 2:41pm ). Need assistance with the Australian Units? Thank you! But I don't plan do australians graphic pack. Maybe in future but not now. If you want to, you can send me some pictures, but I don't promise anything. No, I can't. It's too many cars. Try choose two which are the most interesting to you. I have now too much on my head so you would have waiting "a bit". What's the easiest way to get you photos? The post was edited 1 time, last by Battchief71 ( Jul 31st 2015, 12:21pm ). You can send me a link in email. I can do pumper but the quality of ladder's photo is too bad - I can't do anything. The post was edited 1 time, last by Battchief71 ( Aug 3rd 2015, 4:39am ). 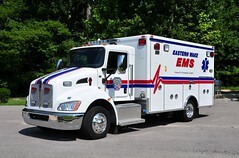 Battchief71: Your wish: First pumper, for the brush truck you have to wait.